Tomahawk Fall Ride 2018: Wrapped Up a Great Riding Year! | Hupy and Abraham, S.C.
Tomahawk Fall Ride 2018: Wrapped Up a Great Riding Year! Behind the Handlebars - Tomahawk Fall Ride 2018 Hupy and Abraham, S.C. Partners Chad Kreblin and Brandon Derry both attended the Tomahawk Fall Ride to help promote the Watch for Motorcycles message. This year at the 37th Annual Tomahawk Fall Ride and Rally, we were so lucky to get great riding weather! The sun was shining and the asphalt was clean and twisting. 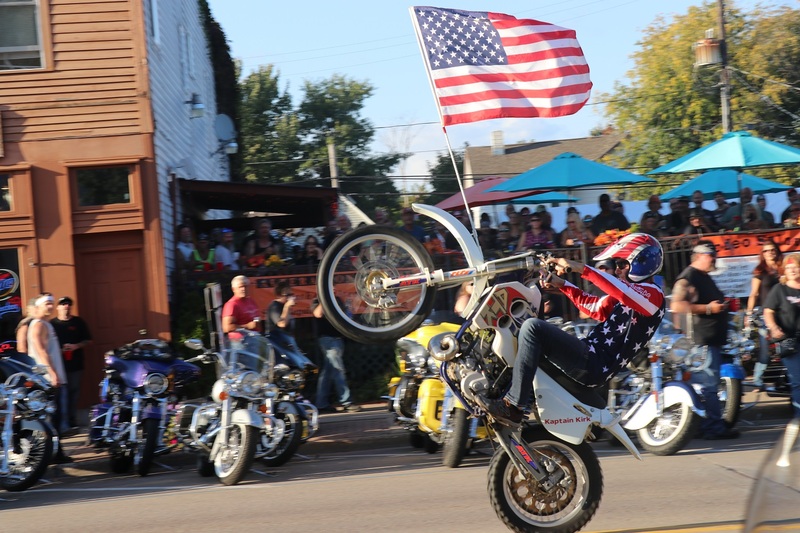 Bikers by the thousands descended upon the small town of Tomahawk, Wisconsin, for the Annual Tomahawk Fall Ride and Rally benefiting MDA of Wisconsin. 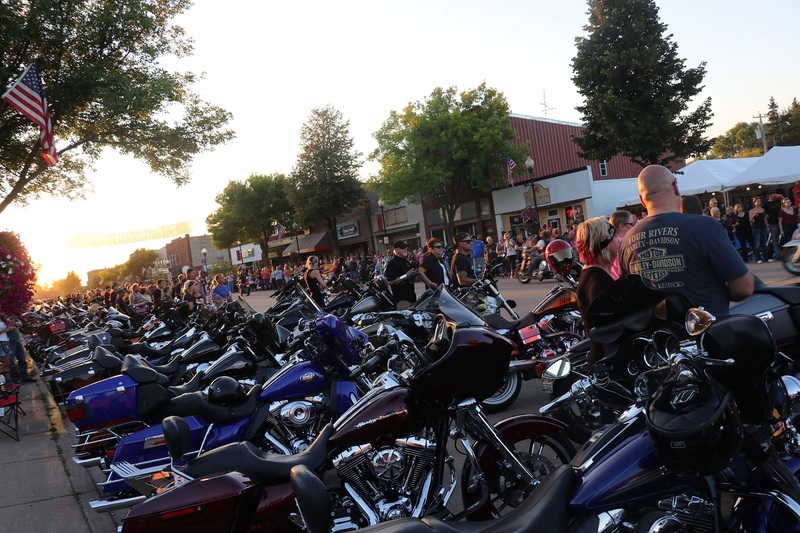 Affectionately termed “Bike Week” by locals, this long weekend of biker events included everything from a “Thunder Parade” downtown, a party at “Bubba’s” campground and fantastic vendors and food at Sara Park. One lucky winner even won a brand-new 2018 Harley-Davidson Electra Glide Ultra Classic this year! For many motorcyclists, Tomahawk marked the end of another successful riding year. This year in particular was special though, with the historic 115th anniversary of Harley-Davidson sweeping through Milwaukee just weeks before. Tomahawk wasn’t just a “Harley” rally. Everything from custom choppers to vintage Indians and dirt bikes proved it! This year, Attorneys Chad Kreblin and Brandon Derry were featured on Tomahawk radio 92.5 WJJQ. 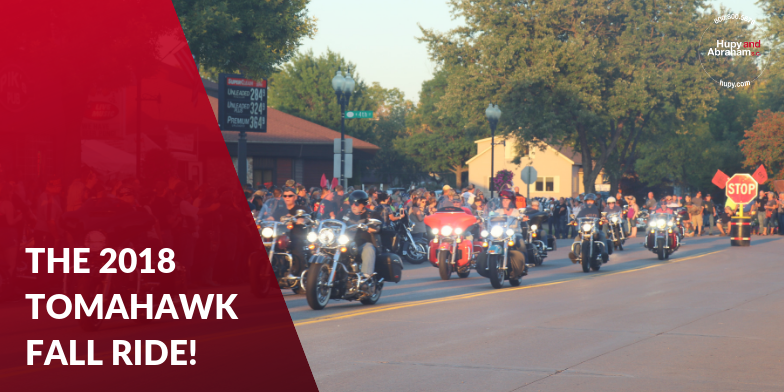 The attorneys rode their own bikes to the rally, and covered topics like the importance of motorcycle awareness, biker culture and, of course, the Watch for Motorcycles message!